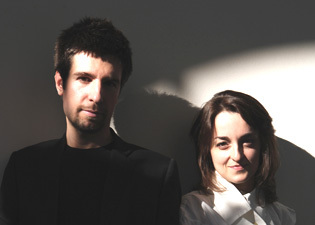 Laura Aquili & Ergian Alberg, have worked in Amsterdam, Rotterdam, Rome, London and Beijing for different internationally recognized offices: OMA, UNSTUDIO, ONL, FUKSAS and ZAHA HADID, where they have been responsible for different scale projects, from product design to architecture. In 2006 they founded in Milan the AquiliAlberg studio, where they work on architecture and design with an experimental and innovative approach, combining their multidisciplinary experience gained from abroad, with their background rooted in graphics and the arts. Their recent collaboration includes: Moroso, Corian, Serralunga, Ritzenhoff, Christie’s auction house, Fiam, Triennale di Milano and Neil Barrett. They have been teaching “Theoretical background on the influence of digital technology on society, culture & architecture”, at Delft University of Technology - International Master Programm 'Hyperbody', along with Kas Oosterhuis.